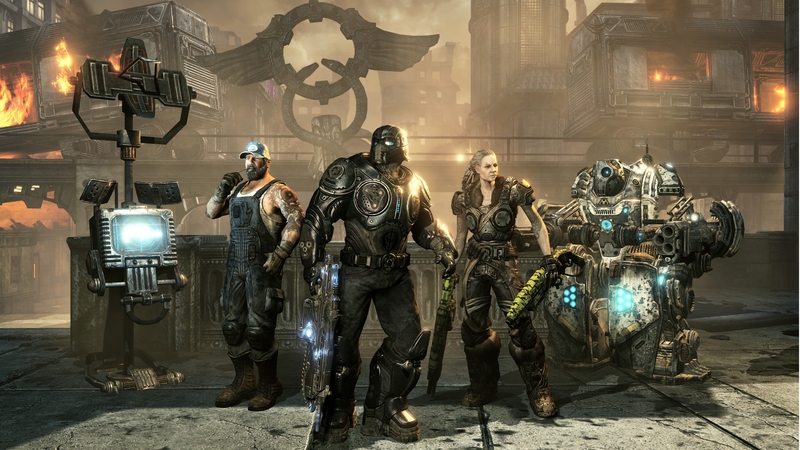 Lucky owners of Microsoft's DLC Season Pass get free access to the newest DLC Pack for Gears. Gears of War 3 has been out hardly a month and already the first downloadable content pack is scheduled to arrive the 1st of November. The new DLC, titled the "The Horde Command Pack", introduces a bunch of new content for the third-person shooter. Players can now carve their way through their opponents as an Onyx Guard or Big Rig Dizzy, deck out their gear with the Jungle Camo weapon skin or try and catch a tan in the abandoned island resort featured in the new Azura map. Gamerscore-minded players will be happy to hear that there's also several new achievements, though no specifics on those yet. For the incredibly popular Horde Mode, the new DLC throws in multiple additions to the fortification system. Players will now be able to summon sniper teams, distract enemies with decoys and call down Hammer of Dawn strikes on top of adding more firepower to the Silverback Mech. Fans of the series who shelled out the extra dough for Microsoft's DLC Season Pass will be able to download "The Horde Command Pack" for free when its released, while everyone else will have to cough up about 800 Microsoft Points (or $10 USD). The DLC Season Pass, costing $30 USD, currently enables buyers to nab the first four planned DLC packs at a hefty 33% discount. Gamers can still purchase the Gears Season Pass for now, but there's no word as to when Epic or Microsoft may pull the plug. Gears of War 3 was released on September 20th and is currently available for the Xbox 360.